Check out our blog to learn about all our latest developments at the Conservancy, from event previews to visitor guest columns. Looking for volunteer opportunities? Scout activities? Concerts? Read about everything that’s coming up on our schedule. 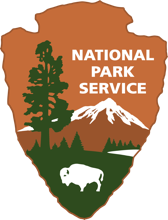 Help us in our mission to educate children on nature, organize volunteering efforts and improve our beautiful national park! The Conservancy’s mission is to enrich lives and our communities by inspiring use, appreciation, and support of Cuyahoga Valley National Park and ensure its preservation. Discover Cuyahoga Valley National Park's Gems! Sign up to receive 2 one-hour driving tours of CVNP! After you receive the driving tours, we'll send you weekly updates, so you never miss unique CVNP events, Conservancy projects, programs and volunteer opportunities.